What is the Typical Class Size of a Christian College? Students who are primarily worried about whether or not they’ll be a name or a number on campus, or whether they’ll be able to find the individual attention they need in order to reach their fullest academic potential, should have their fears and concerns eased by a few key statistics associated with today’s Christian universities across the country. Christian-affiliated universities in the past decade have seen a sizable increase in student enrollment, but that has so far not impacted the average class size touted by many of the biggest names in this sector, according to an article on the NPR website. 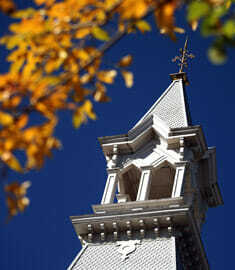 – Liberal arts colleges, by their nature, tend to be more interested in the arts, history, religion, and philosophy. As a result, their majors are fewer, more professors are available to teach a smaller number of students, and class sizes directly benefit. – Even larger schools with a religious affiliation often break students down into major-specific courses of no more than 30 students, allowing those who need individual attention to find exactly what they need by the time they’ve completed their first 30 credits. Today’s fastest-growing universities are those with an Evangelical Christian affiliation, like Liberty University in Virginia. The school has grown at a breakneck pace over the past decade and a half, driven by several different phenomena among today’s youngest and most religious students. Even as the school has added a number of undergraduate majors, graduate schools, and a dizzying array of online programs, it offers exceedingly small average class sizes. In fact, Liberty’s website notes that 73 percent of all classes held on campus have 29 students or fewer. Only a very small number of courses see students sitting alongside as many as 60 others during a lecture. Similarly, Texas Christian University has also been growing very quickly in recent years and has also managed to maintain very small class sizes. The university’s average class size is just about 24 students per class, though the university’s website notes that 52 percent of all classes involve 19 students or fewer. These two universities are representative of a larger sample of Christian universities across the country, where smaller class sizes and more rewarding instruction environments are typically held in high regard among administrators. Though many universities with a Christian affiliation do offer smaller class sizes than their publicly funded counterparts, it’s important to research this metric prior to actually applying for admission. By understanding the school’s total student body size, its student-to-faculty ratio, and the typical class size of a Christian college campus, prospective students will be able to understand whether or not their academic needs and interests will be best served at that specific institution.